Beyond just skimming the surface of your pool, spa and fountain, our certified technicians follow an in-depth maintenance checklist on every visit. From basic debris removal to chemical balancing to making sure your equipment is operating correctly, we'll keep you informed and assured with your written Weekly Pool Report Card. At Miller’s we use the finest products to deliver the quality service you deserve. 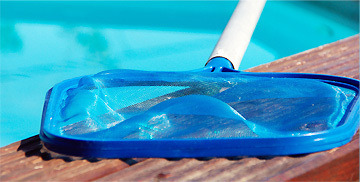 Thorough pool cleaning, vacuuming, skimming, etc.